Fezile Dabi and Motheo districts participated in activities in KST schools to mark the centenary of Nelson Mandela’s birth. This year’s theme, Be the Legacy, was aimed at encouraging citizens to take action against poverty. The Fezile Dabi team visited Phirihadi Primary School in Heilbron and donated R 10 000 worth of vouchers that went to 20 learners to buy sanitary towels, tracksuits, jerseys, tunics and shirts. The team also joined the school in the clean-up campaign for the day. 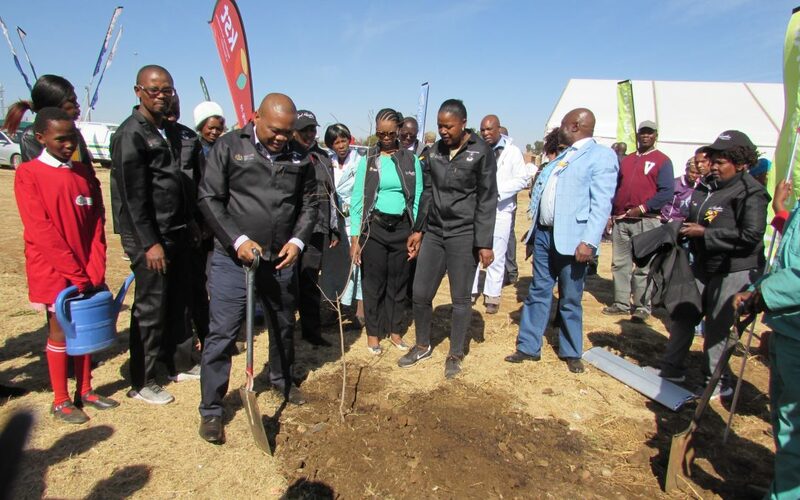 The Motheo district team joined the MEC of the FSDoE, Tate Makgoe, as he rolled up his sleeves to close the International Nelson Mandela Day with a bang. The MEC spent the day at Lerole Primary School, a KST school with 343 learners, where he donated Grade R resources as well as gardening and feeding scheme utensils. The team also planted trees, revamped infrastructure and painted the walls of the school. KST also made a financial donation of R10 000 to the event.